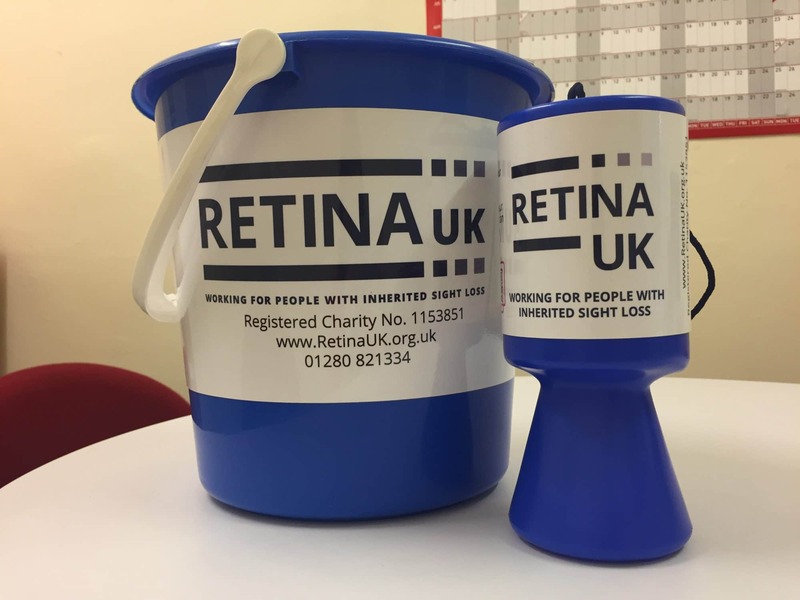 Collecting tins and buckets are great tools to fundraise for Retina UK and spread the word about the charity. If you’d like to hold a collection, place a collecting tin in a shop or pub, or use our tins or buckets at an event, please fill in the form below, read and agree to the terms and conditions and click on “send”. We have also put together some handy collection guidelines to help you, so make sure you read these before you collect. When do you need your tin(s) and/or bucket(s)? Please read the following before you "agree to terms". Permission for a collection must be granted by the appropriate persons. If the collection tin is for use in a private property, permission should be granted by the property owner. If the collection tin is for use in a public place, the local authority must be contacted. Full details of all collections must be provided to Retina UK including the location of your collection and the exact period you will be collecting. All collectors must be aged 16 or over. All donations collected must be submitted in full to Retina UK. No deductions made for expenses or fees can be made. All collection tins and monies must be submitted to Retina UK within one month of an event or collection. If the collection is static and ongoing (e.g. a collection tin on a shop counter or bar) the tin must be emptied after three months and all donation submitted to Retina UK. If you wish to continue your collection after three months, please contact Retina UK, who will supply you with further security labels. A witness, over the age of 18, must be present at the counting of donations.